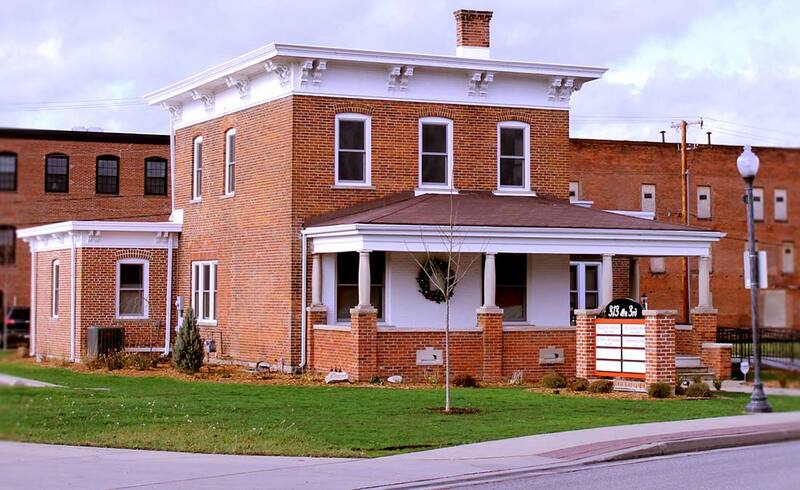 Goshen is often hailed for its lively downtown and vast selection of concert venues, restaurants, breweries, festivals, parks, trails … and, well, lots of other great stuff. But did you know that the Maple City is also a perfect place to go for some peace, quiet, and rejuvenation? From spas to yoga studios to contemplative retreat centers, there’s no better place to “chillax” and be well than in Goshen. Here’s our list of just a few places you can go for that much-needed retreat, and a few only-in-Goshen ways you can optimize your health from the comfort of your own home. Yoga isn’t just about getting a workout and stretching your muscles, it’s also about connecting with your breath and relaxing your inner-mind. 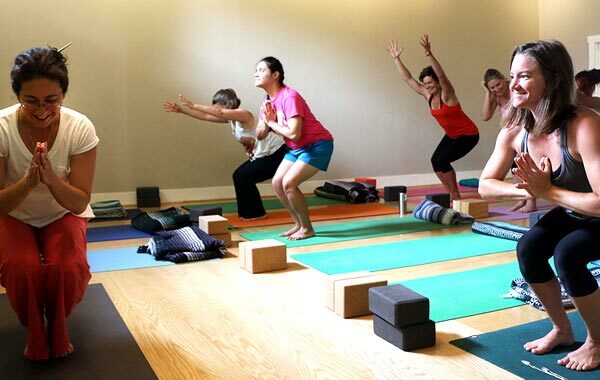 So instead of saying to yourself “na’maste in bed” in the morning, do yourself a favor by taking a yoga class at Goshen’s downtown yoga studios. You can choose from a wide selection of classes that range from the beginner’s level to acro-yoga. They also offer workshops and special events throughout the year. In the summer, Spacious Heart Yoga offers outdoor yoga along the Millrace Trail on Saturday mornings! Nothing beats that post-workout feeling, especially when you’re working it out with the upbeat and energizing people. Try joining one of Goshen’s many health and fitness clubs or gyms like LOL Health and Fitness, where you can choose a variety of fun classes including Power Barre, Zumba, and Kickboxing, or join a community sports team with Goshen Parks and Recreation Department! 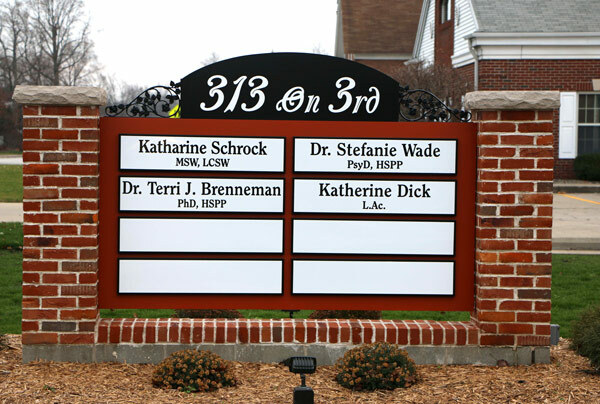 1400 Fairfield Avenue, 201 Chicago Ave.
Acupuncture is an ancient form of releasing the tension of the muscles by inserting microscopic needles into pressure points. 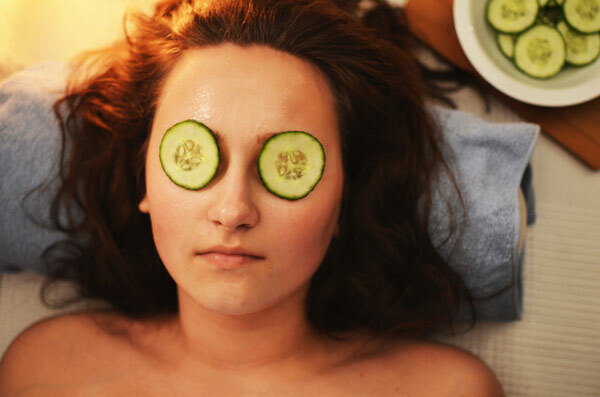 OK, so the idea may give you the heebie-jeebies now … but just wait until you feel the relaxation that comes after! Sometimes, all we really need to feel relaxed is to have some quiet time away. 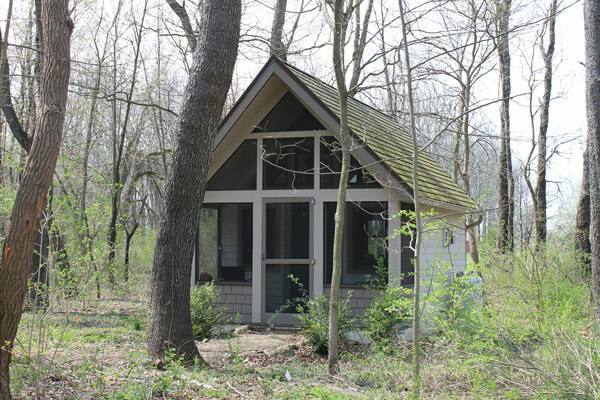 At Pathways Retreat, you can plan a solitary retreat in the cabin, go for the day for a walk in the labyrinth, or join a group for morning prayer and meditation. Of course, you don’t have to join a gym or go to a spa for a relaxing getaway. In Goshen, there are plenty of gorgeous nature trails, hikes, and scenic views that will stir your senses and relax your mind. 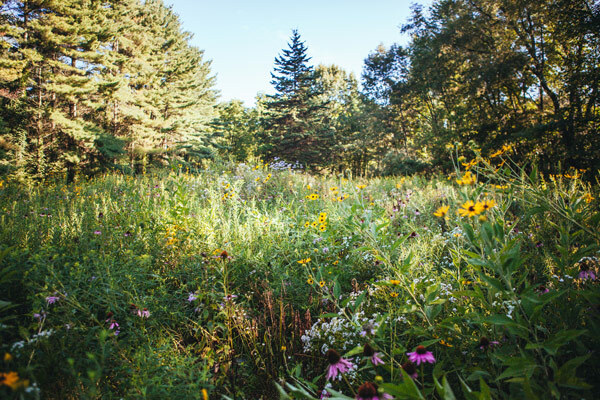 Walk the Millrace or Pumpkinvine trails, soak in the sunshine at Shanklin Park, bike around Fidler Pond, or take a contemplative stroll through the DeFries Calendar Gardens. 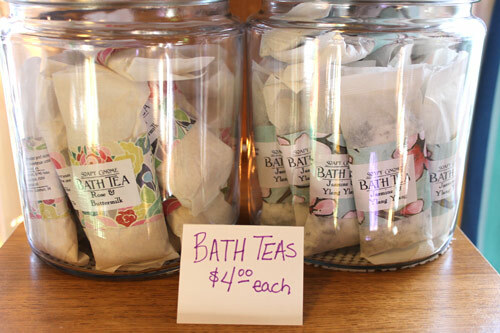 You can create a spa-like atmosphere in your own home with Goshen-area artisanal products. Try the lavender bath salts from Soapy Gnome, as well as the natural and organic soaps and lotions from Maple City Market or the Goshen Farmers Market. After that, do some inner-work with new reading materials from Better World Books while sipping on a cup of loose-leaf tea from the Electric Brew!